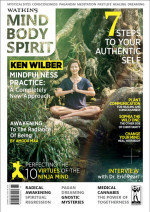 This article first appeared in Watkins Mind Body Spirit, issue 46. Running alongside the mainstream of Western intellectual history is another current which, in a very real sense, should take pride of place, but which for the last few centuries has occupied a shadowy, inferior position, underground. 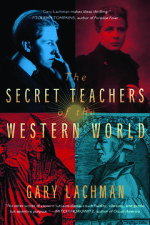 Acclaimed author Gary Lachman explores this ‘other’ stream, unveiling the esoteric masters who have covertly had an impact on the intellectual development of the West. About four centuries ago the western mind suffered a severe blow from which it is still reeling, although there is some indication that, with any luck, it may soon be on the mend. The early seventeenth century saw the rise of what by now has become practically the sole source of our ideas about ourselves, our relation to the universe, and the possibilities of our future. This was facilitated by the character assassination of what this newcomer saw as a dangerous competitor. I am speaking of course about the rise of modern science. In my new book, The Secret Teachers of the Western World (2015), I look at this world-shaking transition and try to see it in the context of recent developments in neuroscience and ideas about an “evolution of consciousness.” I do this in order to try to understand the place of the western esoteric tradition in our spiritual and intellectual heritage. For millennia these ideas were respected and revered. But with the rise of the kind of ‘knowing’ we associate with modern science, all of this ‘ancient wisdom’ was jettisoned. A new form of knowledge, based on measurement, analysis, and quantity, replaced the older, intuitive, holistic mode. All that was considered antiquated, outdated, and useless. The older way of knowing put up a battle, but within a short time the new mode was triumphant and the world we inhabit today is the result of its victory. To say that much good came from the triumph of the scientific method is an understatement. Because of it, we today live with greater comfort than ever before. Our lives are more secure and filled with more variety than those of kings of old. But these benefits have come at a price. For the very shift in our consciousness that led to our technologically dazzling world has also led to our increasing alienation from it. And as I argue in the book, the source of this alienation is inside our heads: our own brain. As the neuroscientist Iain McGilchrist argues in his book The Master and His Emissary, there is a rivalry going on between the two sides of our brain. McGilchrist reboots the debate about our two cerebral hemispheres by pointing out that while our two brains may, as neuroscientists came to see, do the same things, there is an important difference in how they do them. The right brain, which McGilchrist argues is primary, sees the world as a whole. It is geared toward living things which it presents in their immediate reality. It deals with patterns, connections, and correspondences. But its picture of the world is vague and indistinct; it sees the forest, not the individual tree. The left brain interacts with the world very differently. It breaks down the whole which the right brain presents and subjects it to analysis. It fractures the immediacy of things in order to turn it into bits and pieces that it can manipulate. Its job is to make the world manageable, to arrange it so that we can manoeuvre through it easily. This manipulation of the world is absolutely necessary; it is what enables us to survive in it. Yet in the process, the living, vital, immediacy and the connections that each part has with each other is lost. We are left with one tree, and lose touch with the forest. McGilchrist argues that throughout human history, the two brains and their different ways of being in the world have complemented each other, each one evening out the other’s excesses. Yet, in recent times, there has been, McGilchrist believes, a coup d’état by the left against the right, a determined attempt by the left brain to establish itself as the boss. This has led to a campaign by the left against all forms of right-brain thinking. One victim of this power grab, I believe, has been the western esoteric tradition. As I argue in my book, the kind of knowing associated with the right brain is very much the kind of knowing that informs the western esoteric tradition. As the right brain does, the esoteric tradition deals with images and symbols, with intuition and imagination, with perceiving the connections between things rather than their separateness, with their living immediacy, rather than the mechanical representations of reality that are the left brain’s speciality. Where the left brain breaks up the world into bits and pieces, which it manipulates sequentially, one-thing-at-a-time, the right brain experiences things simultaneously, ‘allatonce’. The esoteric tradition is concerned, we’ve seen, with ‘ancient wisdom’, and, as McGilchrist and other neuroscientists suggest, the right brain is older than the left. The esoteric tradition presents a more ‘participatory’ world, in which our inner and outer realms interpenetrate. This is also true of the right brain, while the left is almost manic in its determination to maintain a strict boundary between our inner and outer worlds. The esoteric tradition deals with the eternal – I’ve mentioned the perennial philosophy – and the right brain too shares in this while the left brain is obsessed with time. In my book I point out other areas in which it is clear that the kind of knowledge associated with the western esoteric tradition is the kind associated with the right brain. I argue that if the left brain is engaged in a kind of war against the right – what I call a ‘consciousness war’ – then one of its targets would surely be the rival knowledge system informed by the western esoteric tradition. I argue that in the early seventeenth century this war took a significant turn when the new knowledge system of the scientific method usurped power from its older rival and established itself as the sole arbiter of what is true and what is false, what is ‘real’ knowledge and what is not. Yet our other way of knowing and its traditions did not disappear. It remained active, but had to go ‘underground’. It became a reservoir of ‘rejected knowledge’ – knowledge, that is, rejected by the new analytical way of knowing. It became a source of inspiration and illumination for the many figures – poets, artists, philosophers, mystics, even scientists – who recognized its value and its source in our own being itself. These and the people who came before them formed a kind of subterranean current of ideas and insights that still runs today. While many left-brain oriented sceptics have claimed that the mystical, occult, esoteric, and paranormal aspects of our lives have been debunked once and for all, the truth is that this unwieldly – from the left brain’s point of view – side of ourselves remains active and will always remain so, because it is rooted in our own minds. Throughout history there have always been people who knew this. They are what I call our ‘secret teachers’. Their insights and intuitions about the cosmos and our place in it have informed our picture of ourselves, covertly balancing the mechanical, soulless, dead vision of the world that is rooted in our overly left brain orientated consciousness. From the beginning with Pythagoras and Plato, through the Alexandrian age, and inspiring the Gothic cathedrals, Renaissance culture, and the Romantic Revolution, ideas rooted in our ‘other’ way of knowing have played an indispensable part in forming the western mind. Some of the great figures of western culture – Dante, Newton, Goethe – have been its devotees, and it continues today in our own concern about our spiritual responsibilities and place in the cosmos. And, as I suggest in the book, it may be the case that we, now, in the early 21st century, may be at a point when a creative collaboration between our two selves, rather than a hostile conflict, is on the cards. How can this happen? One way is by looking at our past and trying to see what we can learn from the many figures who exemplify a creative union between the two sides of our brain, the characters I have called ‘secret teachers’. They have lessons that are important for us to learn. In The Secret Teachers of the Western World I have tried to give some idea of the curriculum. 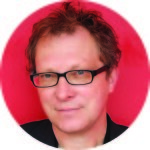 Meet the author: Gary Lachman is one of today’s most widely read and respected writers on esoteric and occult themes. 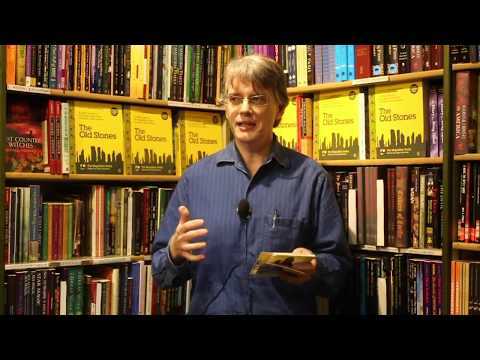 His many books – including Madame Blavatsky, Swedenborg, Jung the Mystic, and Aleister Crowley – have received international acclaim. A founding member of the pioneering rock band Blondie, Lachman has been inducted into the Rock and Roll Hall of Fame. Born in New Jersey, he currently lives in London. Sign up for our newsletter to get our new articles on Mind, Body, Spirit straight to your inbox every second week of the month.